Normal Heights, North Park, South Park and beyond, for the purpose of drinking without driving, sampling the wares at multiple local establishments, and being seen by the public. Then on Thursday, June 20th . . .
Over the course of time, we've only seen Patrick Rue in San Diego on a very limited basis. 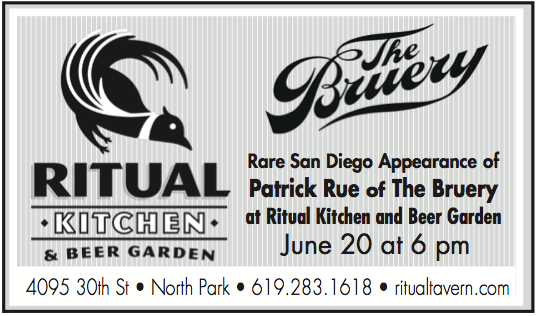 We are pleased to host The Bruery founder on Thursday, June 20th in our Ritual Beer Garden. The event will feature rare draft, including Sour in the Rye, a 40% rye malt with sour yeast aged a year in oak barrels. Chef Kyle will offer a pairing for the Sour in the Rye, Balsamic Glazed Boneless Leg of Lamb Stuffed with Cherries and Walnuts over Almond Cous Cous, topped with Cherry Gastrique. Other Bruery Draft will be available as well, including Loakal Red which until very recently was only available in Orange County where The Bruery brewhouse is located. Ritual Tavern nightly Happy Hour just got better! 5 Varieties of Oysters shucked to order by Oyster Boys. Come lounge in our beer garden whilst enjoying magic from our kitchen. 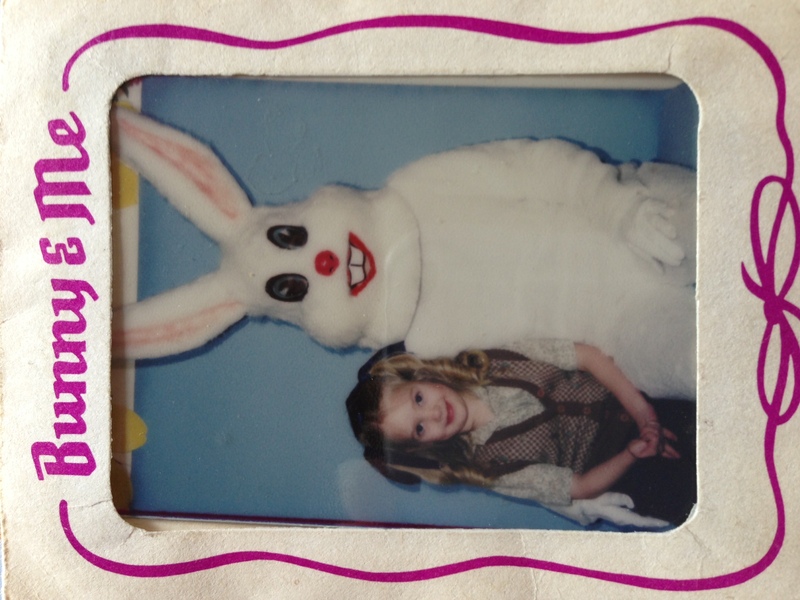 Next Sunday March 31st we will be offering a very special Easter Brunch. Our menu will include a proper Full English Breakfast otherwise known as the "full monty" here at Jaynes. No skimping here, breakfast includes two eggs, English Heinz beans, Irish rasher bacon, pork sausage, black pudding, grilled tomatoes, mushrooms and fried toast. Come hungry for this one! We will also be offering delicious Brioche French Toast with fresh berries and cream with real maple syrup. Sounds like a perfect afternoon to enjoy fresh blood orange mimosas, a Pimms cup, white peach bellinis or maybe a classic Bloody Mary! Bring the family and come celebrate with us! Reservations are strongly recommended. Hey North Parkers! In addition to the amazing specials offered by our friends along 30th Street, CorePower Yoga North Park* is offering 3 free yoga classes on January 30th. Mention "3FREE" at the front desk to get your free class. After class, visit our neighbors along 30th Street for delicious food, smooth cocktails, and best of all, an amazing community...See you in the studio! Happy Friday! We are offering specials this week that are sure to relieve your shivers and warm your bones. The arrival of cooler weather inspired us to bring back one of our favorite appetizers, Moroccan Lamb Meatballs with a chickpea puree and minted yogurt. After enjoying a taste of Morocco, take a mouthwatering journey back home with our Bacon Wrapped Filet Mignon topped with shallot butter and served with garlic mashed potatoes, puree of white corn, and grilled asparagus. Jayne has been known to refer to this dish as "America on a plate"; it may inspire you to break into verses of Ventura Highway between bites of tender filet and creamy potatoes. We are excited about our new dessert that features one of the best things Fall has to offer, squash! Our Butternut Squash Panna Cotta with caramel, fresh whipped cream, and candied pecans is perfectly silky and slightly sweet. Another seasonal offering we couldn't resist is the crisp and sweet Persimmon; we marry this succulent fruit with a cinnamon-sugar puff pastry crust to create our Persimmon Crostadatopped with caramel gelato. Cap off your evening with us by sipping on our new Spiced Apfel Cider. Sarah crafts this cocktail by combining Apfel(a German apple liqueur), Vodka, apple juice, fresh squeezed lemon, and honey; she then steams it until it's perfectly warm and serves it in a mug with a cinnamon stick and twist of lemon. Throw your Holiday Party at Jaynes! We throw a mean holiday party so if your company or group is looking for a place to come together this year please contact us here. We have options ranging from small groups to booking the entire restaurant for your event. Don't forget to like us on Facebook and follow us on Instagram (@jaynesgastropub) for all the latest mouthwatering pictures and specials. Remember that we now accept online reservations through our site or via Open Table here. We look forward to seeing you this weekend! 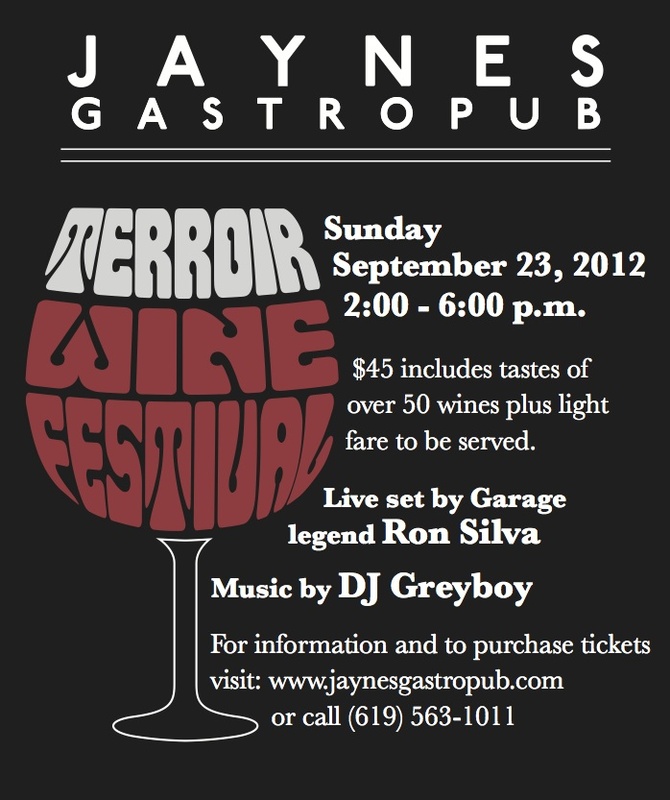 We're holding an incredible event on Sunday September 23rd, the TERROIR WINE FESTIVAL. In celebration of the year's harvest and our unending love of wine here at Jaynes we will be pouring over 50 of the world greatest wines, each with a strong sense of place better known as Terroir. This is a serious dream team and will each be showing around 10 wines each. Knowing this group they will all be trying to outdo each other and we shall enjoy the fruits of this competition! 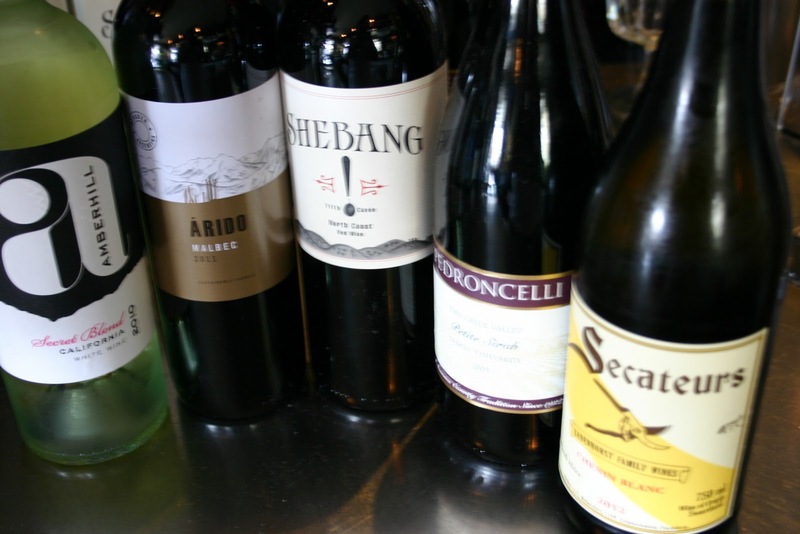 This is the cutting edge of wine in San Diego. Jaynes will be serving scrumptious fare to keep you well sated for this serious day of imbibement. Music shall be provided by our good friend DJ Greyboy, spinning vinyl and a rare, live R&B set by San Diego Garage legend Ron Silva whom some of you may know as the voice of the Crawdaddys. This week we're here to help make you a better Gastrolympian. 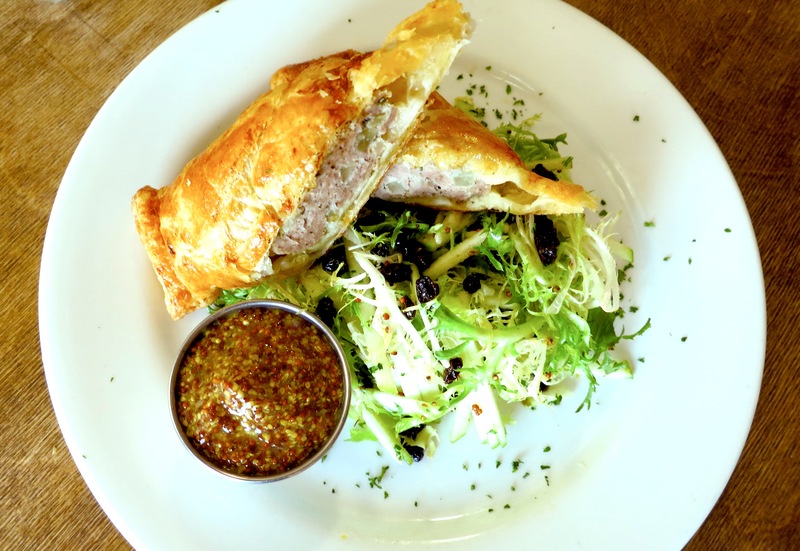 We'll start with our Sausage Roll with House Made Pork, Rosemary, & Spiced Apple Sausage wrapped in crispy pastry, served with a frisee, apple, and currant salad in a dijon vinaigrette. This dish contains many of the important nutrients required for a strong athlete and is an important part of your training regimen. 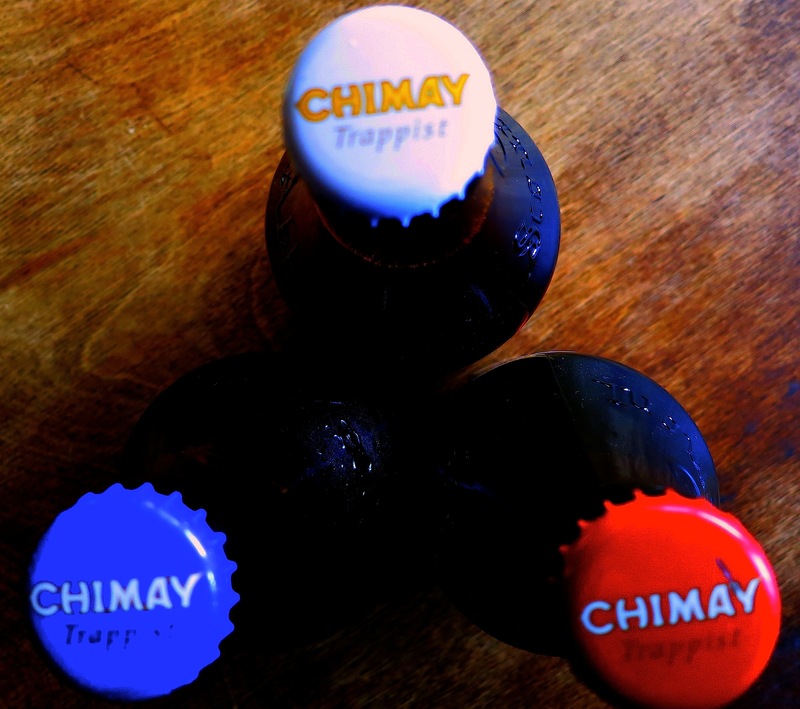 To keep you hydrated, we have Red, White, & Blue Chimay. 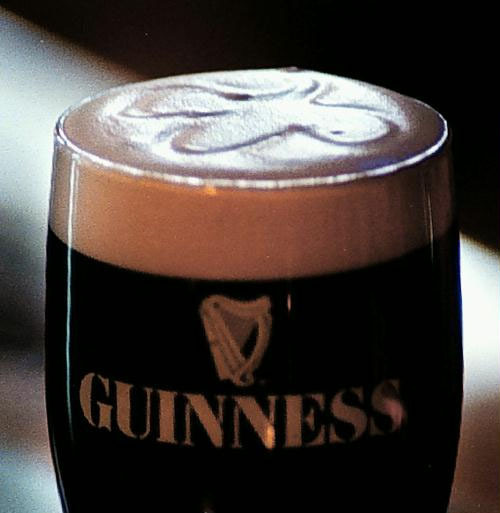 You can drink them one at a time, or you can have some friends join you to practice your synchronized drinking routine. This is a very important event and may take several rounds of practice. Reward yourself and your teammates with a St. Peter's Golden Ale. Come join us this week and let us help you improve your skills as a Gastrolympian. We're cheering for you! Go for the gold. 30th on 30th happens on Saturday this time around! Here's the program in general: on the 30th of each month, a bunch of restaurants and bars on and near 30th Street offer specials, such as a feature appetizer for $3. This makes it easy for you to go on a restaurant crawl and check out all the amazing places on the 30th Street Corridor. Most places start their specials between 5 and 6pm. So come on out and join us! 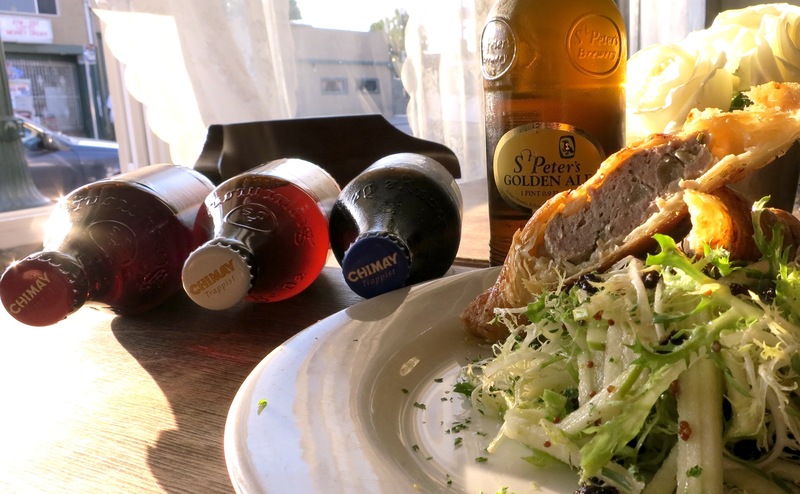 The Linkery: $2 half pours of 30th Street Pale Ale and pulled pork sliders for $3 (cash only, includes tax and service). El Take It Easy: $3 Pork Belly Tacos, $5 Frigga's Fresas cocktail and $2 half pours of 30th Street Pale Ale - all cash only. U-31: 12-7pm $3 burgers and $3 drafts, calls and wells. West Coast Tavern: award winning burnt smoked cheddar mini Mac n Cheese for $5. Vagabond: Chinese barbeque braised pork shoulder sliders with cucumber, green onion and micro pea tendrils $4 each. Sipz Vegetarian: For dine-in patrons $5 sake cocktails or $20 pitchers (while supplies last), $3 crispy potstickers and $5 spicy shrimp tempura. Outside $5 orange chicken and assorted appetizers. Splash: Apple and brie skewer drizzled with agave, paired with a chardonnay wine - $5 cash! Carnitas' Snack Shack: Last day for foie! Seared foie gras, peach coulis, charred brioche for $5. Redwing Bar: 30th Street slider - bacon, grilled onion, jack cheese, mushroom and smokehouse mayo served with tots and a 12oz 30th Street Pale Ale for $5. Urban Solace: corn custard with choice of duck confit or corn succotash and pickled pepper puree. And a farewell to foie grais - 1oz foie gras on french toast with brandied cherries (limited quantities). The following businesses usually participate, but I don't have their specials for this week yet. Here's an idea of what they've offered in the past. Toronado: local drafts for $3. The Office: 2 for 1 prices on ALL drinks from 4-7pm, and $5 signature cocktails from 7-9pm. URBN North Park: $5 cocktail: High Treason - Mount Gay Eclipse rum, Velvet Falernum, lime, pineapple, absinthe. $4 pints of 30th Street Pale Ale. Mosaic: pizza and sangria - $3 each. Hipcooks: We will have our doors open from 6-9pm and offering free bites of various items from our classes. We will also be smoking a pork tenderloin and experimenting with our new sausage maker! Crazee Burger: $3 pints, $3 bottles of beer, $3 glasses of wine, $3 house burger, $3 OFF all exotic burgers AND our new nutella burger with sautéd caramelized banana, bacon, and nutella also at $3.00. 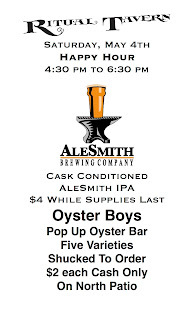 Blind Lady Ale House: select $2 beers with any Oyster or Sandwich purchase. Jaynes Gastropub: have a drink and plant a tree! For every drink made with Tru, organic spirit distributor, The Greenbar Collective will fight deforestation by planting a tree in the central American rainforest. All cocktails $5 - handcrafted by Jayne's star bartender, Sarah Ellis & guest mixologist, Adam Stemmler. Baby Jayne burger and fries $5. Regular service closed from 6-9pm. The 30th Street Corridor, I propose, is the best culinary street in the nation. If I'm wrong about that (and I'm open to hearing about other streets), at the very least it's really fun and delicious and has hundreds of taps of local craft beer. See you on the 30th, on 30th! If you've been into Jayne's recently, you'll notice that summer has taken over the cocktail menu. Watermelon and strawberry infusions, mint juleps and refreshing twists on old fashioneds are just a few of our current loves. 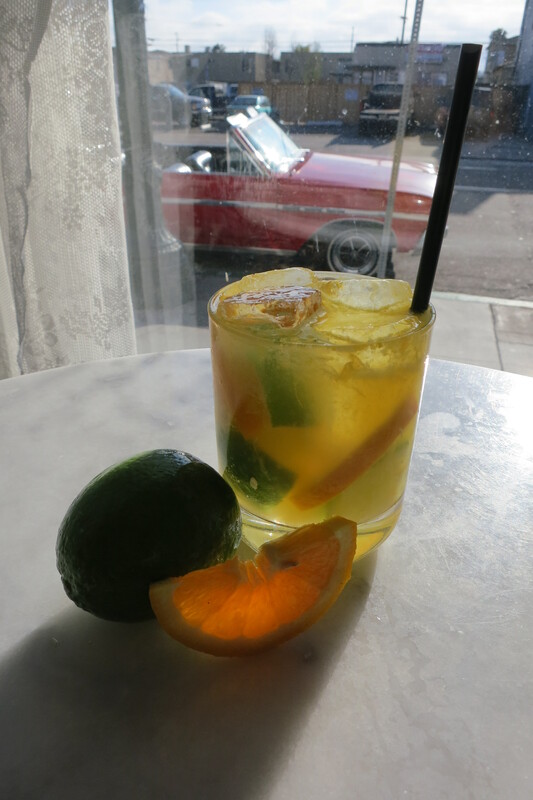 Today at Jayne's we have something extra special for you: an orange caipirissima featuring just picked from the tree Valencia oranges from our server Becky's garden. The white rum, fresh lime and juicy sweet oranges make a delicious and refreshing cocktail that we can't stop drinking. This drink will be featured for $8 all night long tonight, Thursday. Happy summer! -Sarah! South Park is prepping for the 14th annual Old House Fair on Saturday, June 16th (10am-4pm). If you've never been there, this is the year to check it out. It's a family-friendly FREE street festival at 30th & Beech St. with musical entertainment, festival food, kids arts and crafts, historic neighborhood home and garden tours, exhibit and vendor booths, and more! Second Chance Dog Rescue of SD will have pet adoptions and $20 micro-chipping there too. We still have a few booth spaces available -- for artisans, house painters (faux finishing? ), metalworkers, other local businesses that serve the "vintage" home market. Interested? Email exhibits@theoldhousefair.com ASAP. 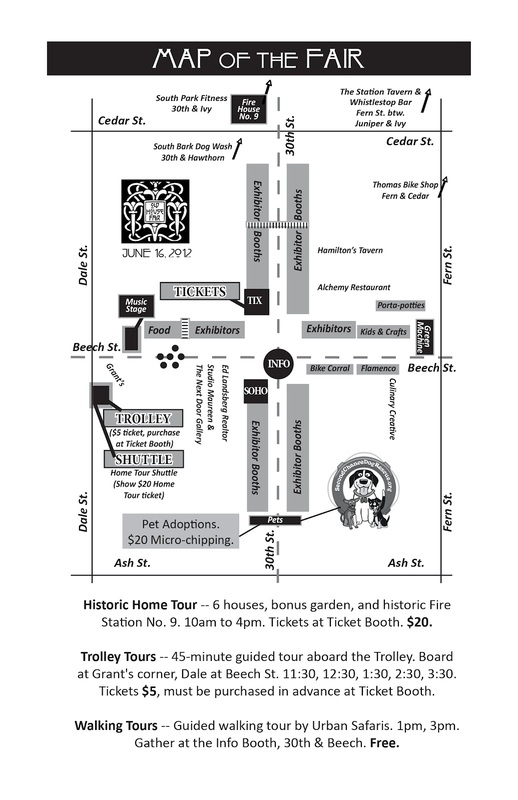 Tickets for the highlight Historic Home Tour -- featuring 6 houses, a bonus garden, a shuttle trolley, and tours of the Historic Fire Station No. 9 on 30th St. (San Diego's oldest standing firehouse, a 100-year-old craftsman buiding) -- are now available for advance reservation online. Visit www.theoldhousefair.com . 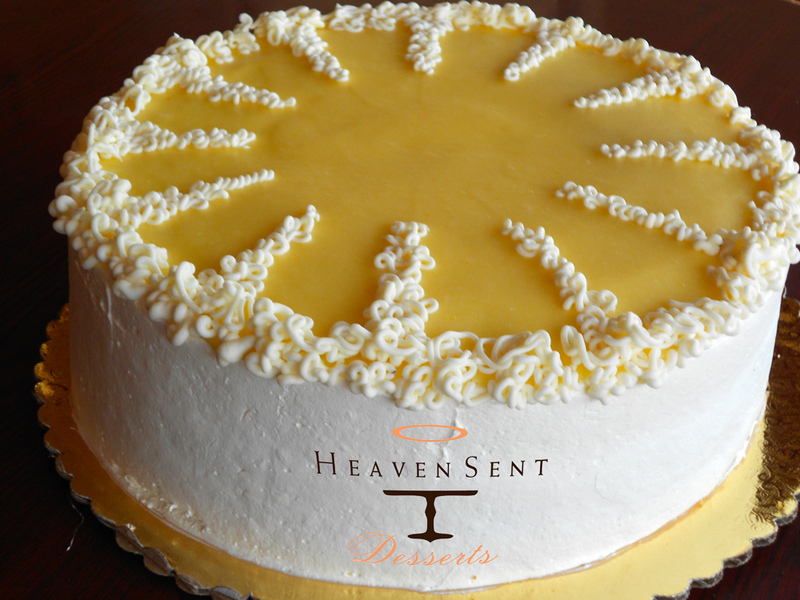 This 30th we are offering lemon lovers (and everyone else) a treat - our insanely great Lemon Curd Cake! 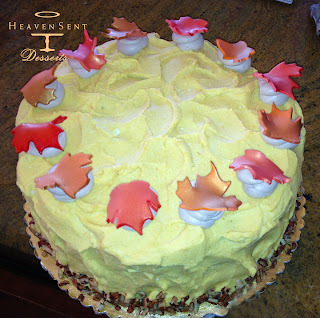 Spring is here - almost summer and a refreshing taste of lemon is just the ticket. And get $1.25 off the regular price of $6.50 per slice! Enjoy! Hello beer lovers! Next week is an exciting one here in the finest city of Craft Beer. The World Beer Cup takes place May 1st and 2nd, and then we are hosting the annual Craft Brewer's Conference for the rest of the week. There will be lots of out-of-town beer fanatics roaming our streets and bellying up at our bars, and lots of special events happening to make sure they never forget about us. For our part, we'll be holding a special Meet the Brewer night in conjunction with an extra DrinkAbout bus that will be running on Wednesday, May 2nd. 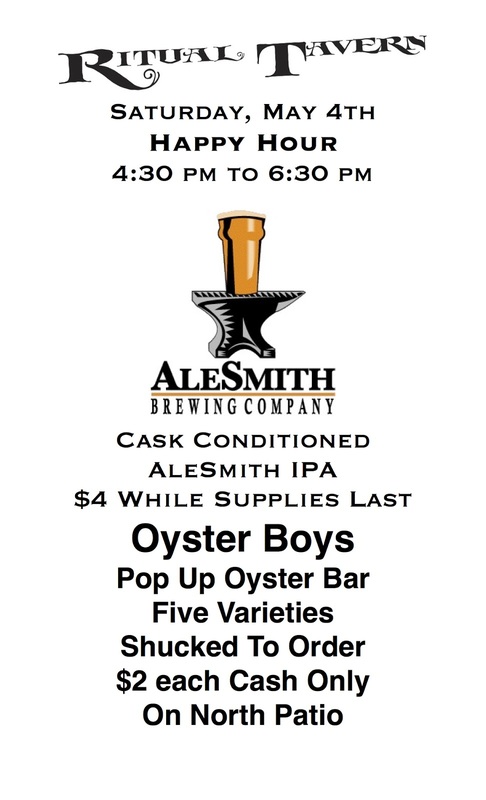 It'll be a great opportunity to meet a bunch of new beerthusiasts, as well as some folks from newcomer Rough Draft Brewing. Owner Jeff Silver and Brewer Anthony Tallman will be hanging out with us at the Rocket from 6pm on, guest bartending, introducing their beers to you, and enjoying some of the beer-apropos culinary pairings that Chef Tommy will create. Rough Draft, San Diego's newest microbrewery (at least for the next few hours), is delivering tasty handcrafted styles full of flavor, body, and balance (see below for more details). Come give them a try, along with some special one-night-only menu pairings. Each pairing will run between $12-$15. Reservations are being accepted at 619-255-7049 or feel free to just stop in to the bar! Rich in taste and bold in personality, this American Pale Ale is the gift that keeps on giving. American hops on the nose. Clean citrus esters. Pleasantly hoppy. Attractively light and subtly sweet, this full-bodied beauty is one that you'll want to revisit time and time again. Sweet, floral, notes of honey. Lightly fruity with a touch of spice from traditional trappist yeast. Finishes Dry. 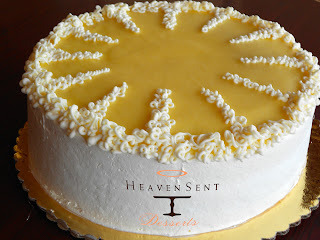 Well-balanced, full-flavored and pleasant to be around. Just like you. Malt-forward. Roasty with hints of caramel and chocolate. Full body. Balanced profile with delayed hop on the finish. 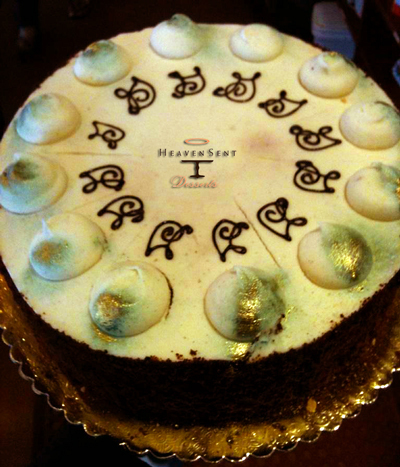 It's the 30th once more and Heaven Sent Desserts is offering our absolutely fabulous Chocolate Stout cake filled with absolutley heavenly Chocolate Guiness mousse, and finished with a Whiskey Cream Cheese frosting ... truly heavenly and oh, soooooooo gooooooood ... and for this evening only at the most affordable price of $5.75 per slice! All to please our 30th on 30th visitors. South Park's Beech Street eateries -- Alchemy ... Grant's Marketplace .... and Hamilton's Tavern & Cafe -- will be serving up "sidewalk specials" on the evening of Saturday, March 24th. 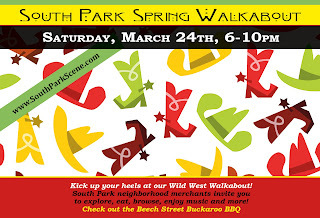 The "Beech Street Buckaroo BBQ" will highlight the neighborhood's Wild West Walkabout, from 6-10pm in the historic neighborhood. 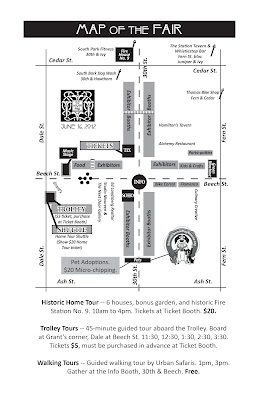 Along with live musical entertainment, gallery show openings, samples and specials all over the 'hood, the event as always features a Free Trolley from Juniper to Grape to Beech St., plus a free Urban Safaris walking tour.